Does humanity stand a chance when the robot apocalypse is upon us? 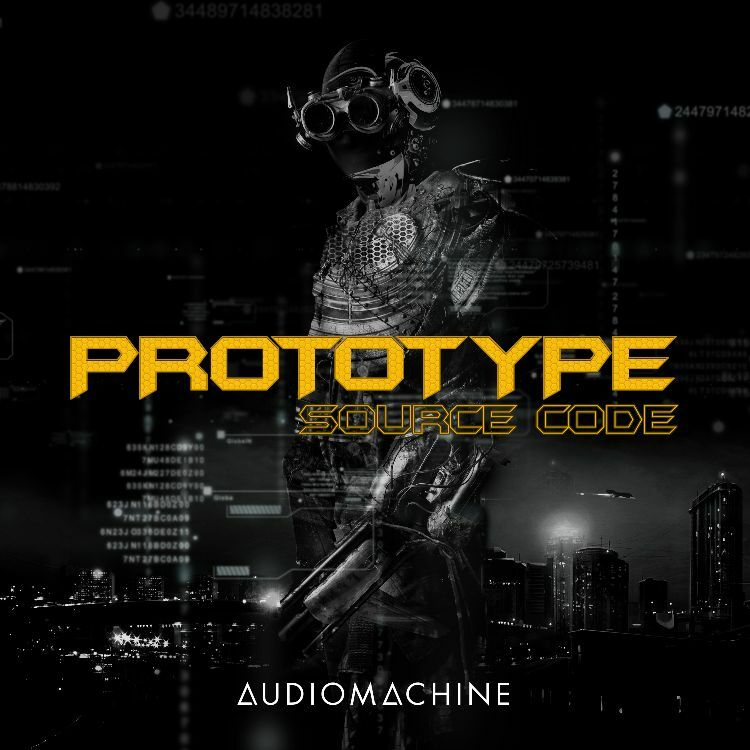 Blistering synths, glitchy, mechanical sound design and pounding drums are the backbone of the Prototype series. Heavy, dangerous rhythms propel these intense cues with furious swagger and massive power, while heroic synths and orchestra remind our embattled warriors what's at stake. Dangerous, glitching sound design and warbling bass drops layer with steady percussion and a ticking effect, swelling to a rhythmic, alien buzzing tone that climbs to a frenzied urgency as time runs out. Anticipatory swell up with synths and drum hits leads to a futuristic alien soundscape; massive taikos storm in with powerful rhythmic clusters. Heroic brass and orchestra let you know the gates have been compromised; it's time to fight for your life. Dangerous intro stabs with a raw, ominous swelling violin and glitchy synth arps build with driving tension, layering with emotional brass, pounding drums and dramatic hybrid orchestra to a dark climax. Melancholy piano echoes over scratchy textures and distant, chiming tones, building with low bass pulse, a rhythmic alarm; time passes, leading to a massive hybrid orchestral, dangerous climax, relentless but in no hurry to meet the inevitable end. 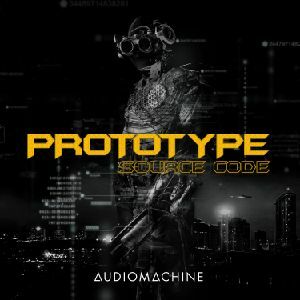 Intense, anticipatory pulsing synths interact with huge percussive slams and alarms; low strings drive the tension as it builds to a darkly heroic middle, swelling with relentless buzzing to a massive, pounding hybrid orchestral climax. Distorted, guttural synth chirps set a glitchy, futuristic atmosphere, while heroic hybrid orchestra swells beneath to herald the start of a mission. Anticipatory pulses and pounding drums drive the action throughout the hybrid orchestral back end. Brooding piano chimes over a dreamy pad while a pulsing synth races into a driving groove; video games, montages, car races, sleek, stylish and exciting electronic build with choir. Piano pings and haunting whispers set a mysterious tone; the calm is broken by synth arpeggios and drum slams. A bold, hybrid orchestra and relentless percussion develop a huge, dangerously heroic back end with building brass and glitchy FX textures. Low, rhythmic bass pulses layer with swirling pads and a scratchy synth texture, swelling up to huge, squealing, distorted alarm blasts; racing strings come in to propel the drama, driving a rhythmic and exciting back end. Dark synth bass pulses set a rhythmic, steady pace for counterpoint; slow, menacing percussion and grimy textures reveal a march to inevitable demise, moving relentlessly forward to a slow burning, epic orchestral climax. Bright, metallic quick swell up over a swaggering beat, mechanical FX race across driving strings and huge drops while pounding snares and deep downbeat blasts march a steady pace. Ringing tones chime over this gradually building back end ascension. Massive, glitchy slams explode in dark, brooding clusters with high pinging reverses and dangerous atmospheres; a driving bass pulse and a high rising tone propel a rapidfire build with pounding drums and squealing high textures. Darkly ominous, minimal intro of squealing synth blasts and tense FX; drives forward with big drum clusters and massive drops and pings; syncopated rhythms and cool textures drive the back end to a pounding, glitchy, stabbing rhythm. Tense atmospheres and glitchy textures rise and swell with heavy percussion hits leading to an ominous pinging piano motif, crunching with a massive power down to a rhythmic and deadly percussive back end, brimming with destructive power. Mechanical FX scatter across a racing countdown clock beep; drums blast in, setting a tense, investigative pace, swelling up with panning FX and huge blasts; anticipatory strings and dramatic brass help build a bold, modern back end. The mysteries of the universe unfold in this futuristic intro; a rhythmic bass pulse kicks in to drive all creation into high gear; call and response synths and drums pound and ping as everything swells before the big, glorious bang. Haunting bells layer over dark, droning pads; drums layer in from the distance, setting a mysterious tone, only to pound in as the dramatic and emotional theme builds with synths, piano and futuristic FX. Distant, distorted hits lead to bending, sliding, mysterious brass tones, layered with high synths and glitchy FX; a dramatic, pulsing bass leads to a bold, textured middle, driving with hybrid orchestra and pounding percussion to a massive climax. Pounding distorted synth blasts layer with punishing percussion and relentless tones before a sophisticated but anticipatory string motif kicks in; finally our heroes break through with triumphant brass and orchestra through an exciting back end. Dissonant alarms ring over a disorienting pad and distant pings, swelling up with skittering textures and massive bass; a stomping, swaggerish beat ensues, with pounding drums, deadly serious brass and a heavy bassline, marching steadily to the end. Dark synth pads swirl under high pings and guttural, sliding growls; racing strings set an anticipatory pace, slamming in with huge hits and choir blasts. Bold brass and hybrid orchestra carries the ominously heroic climax with massive end stabs.